Jazzwise magazine, in partnership with Exact Editions, has placed the content of all of the 208 issues since the magazine was launched in April 1997 online. As of last month, subscriptions to the digital editions, which are readable on phone, ipad or computer, now also give access to the full archive. 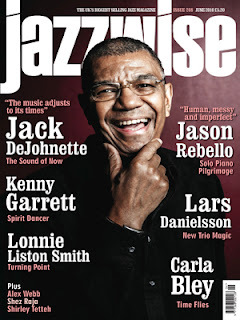 Jazzwise magzine is the UK's biggest selling jazz monthly, and the leading English language jazz magazine in Europe.